Business Meals and Entertainment Expenses – What is Still Deductible? In the wake of Tax Cuts and Jobs Act effective on January 1st, 2018, crucial changes to the tax laws has already affected individual and business taxpayers based on income levels. The IRS has published a new guidance on the deduction of business meals and entertainment expenses on October 3rd. Prior to the Tax Cuts and Jobs Act, the distinction between meals and entertainment was not critical as both expenses were 50 percent deductible. The requirements for meals expenses were to the extent of the taxpayer’s presence at the time the meals are furnished, and the expenses were not extravagant. Entertainment expenses were eligible for 50 percent deduction to the extent of expenses directly related to the active conduct of a trade or business, or if the entertainment expenses were immediately proceeded or succeeded a business meeting. There is a debate on the classification of meals expenses as entertainment expenses. Under the new IRS guidance, 50 percent of business meals expenses remains deductible. They must meet certain criteria to qualify for the deduction, the qualifications are discussed in the following paragraph. If meals expenses are subset of entertainment expenses, then they are nondeductible under the Tax Cuts and Jobs Act. Business meal expenses must be an “ordinary and necessary” expense incurred in trade or business, and these expenses are not “lavish or extravagant”. It is also important for the taxpayer or the taxpayer’s employee to be present while the foods and beverages are furnished. There are two new conditions that must be met in order for the business meals expenses to be deductible. The food and beverages are provided for current or potential clients and business contacts, and, if food and beverages are provided during an entertainment activity, they are purchased separately from the entertainment activity. 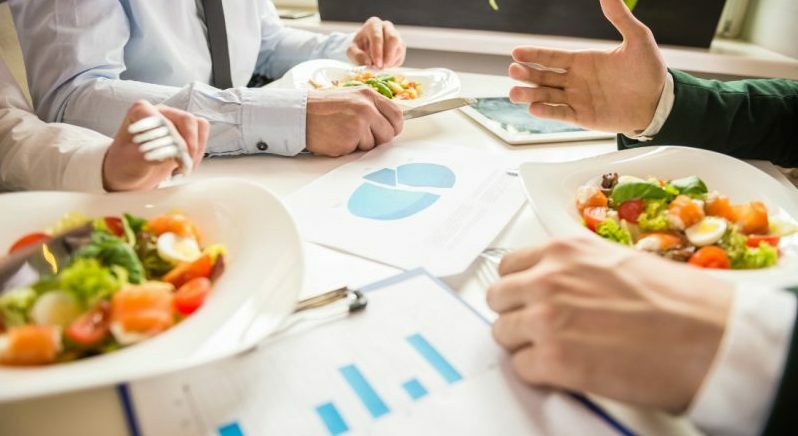 The Tax Cuts and Jobs Act did not specifically state the deductibility of business meals, but it insinuated for the deduction of business meals as they are associated to the operations of their trade or business. The Tax Cuts and Jobs Act completely repealed the 50 percent deduction for business entertainment expenses after December 31, 2017. In order to deduct meals and beverages provided at business entertainment activities, businesses must show that the meals are separately stated on an invoice from the cost of the entertainment activity on “one or more bills, invoices, or receipts”. It is still possible to deduct entertainment expenses 100 percent, but the entertainment activity such as holiday parties must benefit all employees. Otherwise, it is not deductible. For example, if an retreat is for officers and other highly-compensated employees, it would not qualify for the 100 percent deduction. There are other scenarios which qualifies for full deductions. If employee entertainment expenses are included in an employee’s taxable compensation or if the employee reimburses these expenses. There are many questions surrounding the deductibility of management retreat expenses. Businesses must be able to demonstrate that there is a business purpose associated with the retreat, however, this reason alone is not sufficient enough for business entertainment expense deductions. Some factors could be considered as indicators that the retreat is primarily for business purposes. For example, if a business hired an outside professional to facilitate management retreats, this could be an indicator that the retreat is primarily for business. Businesses may also deduct partial costs of the retreat facilitator. A retreat agenda must articulate all of the business activities during the course of the retreat. It should also distinguish business activities from personal activities to claim deductions. Moreover, the retreat agenda must show at least 60 percent of all business-related activities as business and not personal. As per above discussion, management retreats costs primarily for entertainment purposes are 100 percent deductible if they are open to all employees. Each business will have different circumstances in determining management retreat expenses. However, the Tax Cuts and Jobs Acts changes are in favor of the taxpayers as they got rid of any confusion regarding the definitions of business meals and entertainment expenses. Businesses should analyze any entertainment-related expenses through tax-planning to maximize the 50 percent meals deduction.